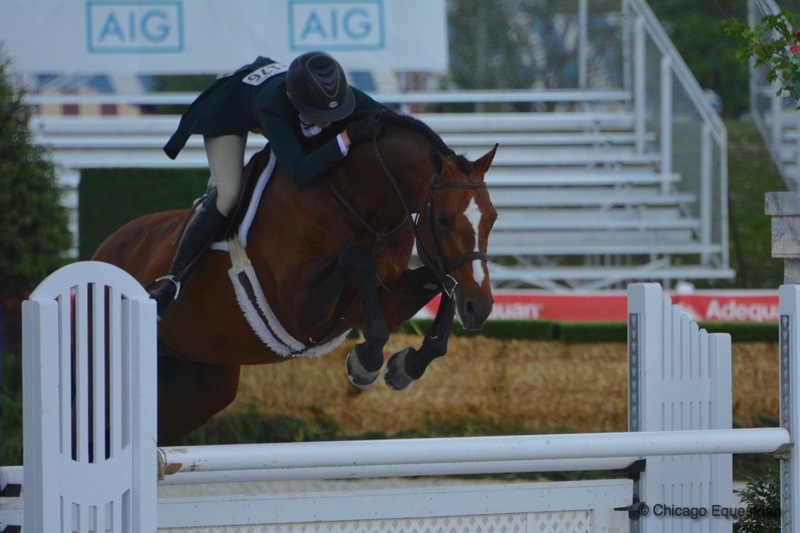 Derby Day was the first time hunters showed in the Balmoral Park Grand Prix Ring. 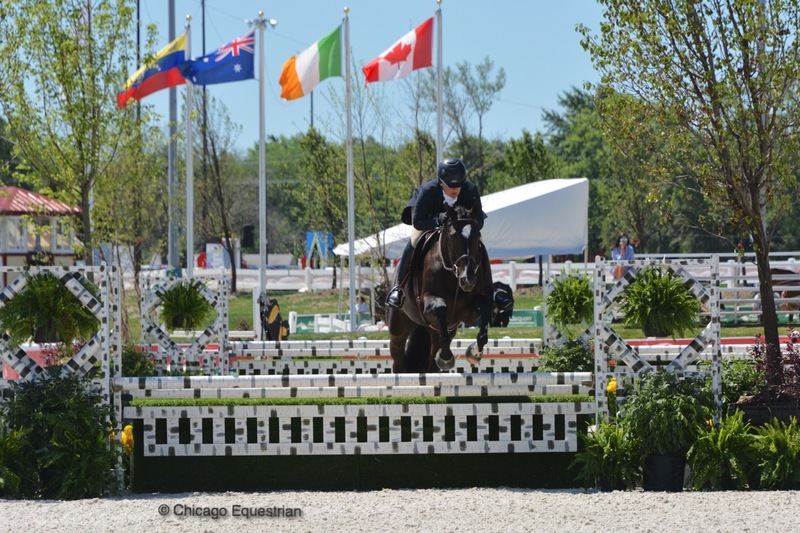 Crete, IL – June 20, 2017 –Twenty-five entries went head to head in the Grand Prix Ring at the new HITS Balmoral Park in the $25,000 USHJA International Hunter Derby presented by Bull Run Farm, marking the first time hunters showed in the ring usually reserved for major jumper classes during Showplace Productions’ Derby Day. The entire day is dedicated to hunter derbies as only two rings run the entire day and are set with perfection and attention to detail, making for a special day. This was the first International derby held at the new facility. 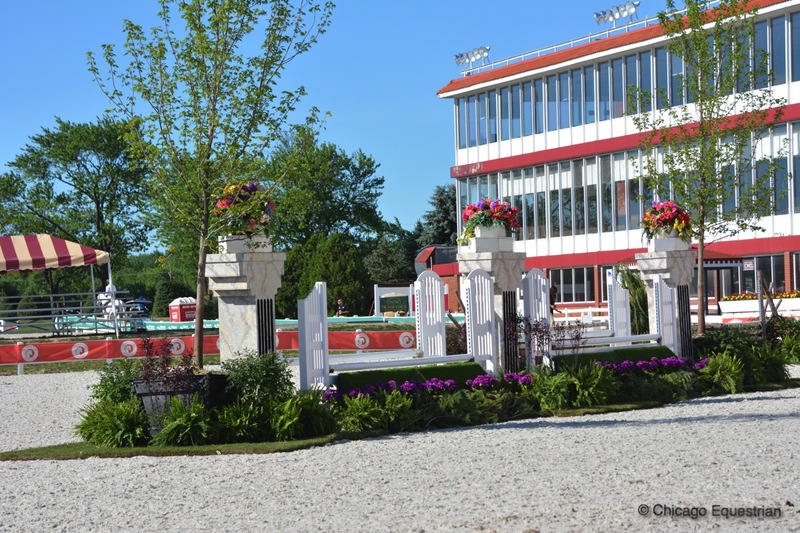 The venue has hosted a $2,500 USHJA National Hunter Derby each show week, but only in the main hunter ring. Today hunters got to show off in style. 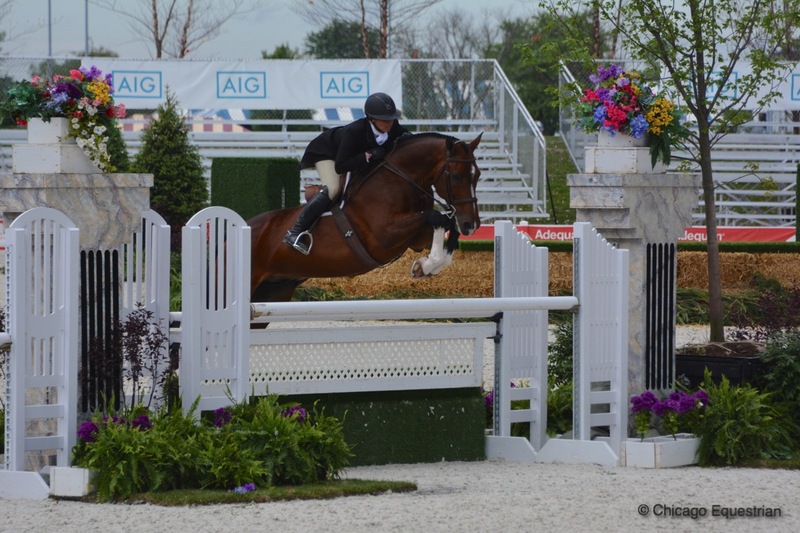 Riders jogged for soundness for the USHJA International Hunter Derby. 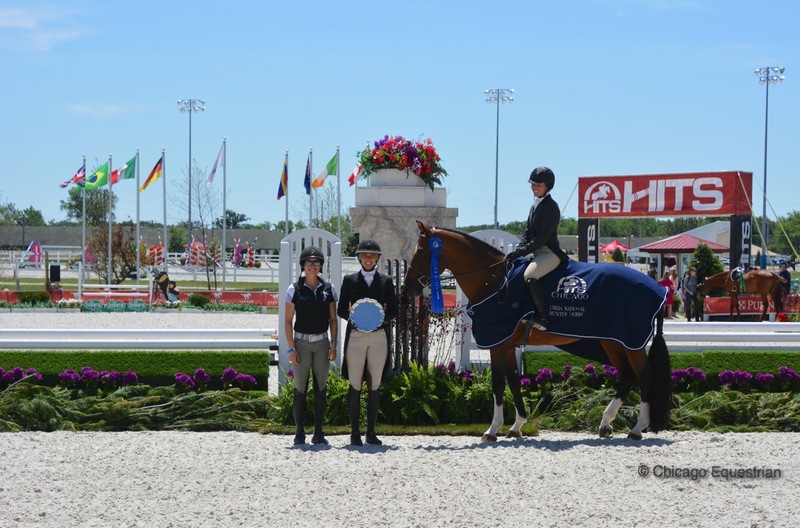 Beautiful sunny skies kicked off World Championship Hunter Week with the USHJA International Hunter Derby jog for soundness. A beautifully decorated ring featured sponsor banners for Gene & Georgetti’s and Michelle Durpetti Events, who sponsored an amazing lunch as they have traditionally done for this special day. The course was set to perfection with attention to detail. 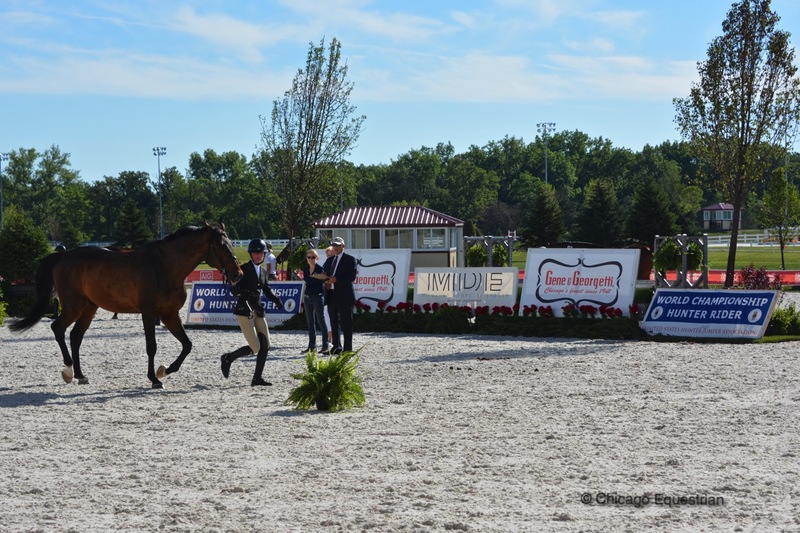 After the final touches were put on the ring, the $10,000 USHJA National Hunter Derby sponsored by Galway Farm, started off the competition. A field of 26 exhibitors galloped across the Grand Prix Ring as the judges scored the pairs to see who would return for the handy round. Meagan Murray-Tenuta and Becky Price’s Cheeky, earned the highest score in the classic round with a 91. Junior rider Britta Stoeckel and her mount, Got Milk, scored an 88 and Doug Boyd and Mimi Rothman’s Calido’s Son scored an 87.5 for third. Returning with a vengeance, Kathleen Caya of Integrity Farm, Oconomowoc, WI, and Zorro earned a 92 in the handy round moving them into third. Kaya and Zorro showed in the Pre-Green Incentive program last year and early in the season became the leading rider in the series. Murray-Tenuta and Cheeky accept the award from Molly McAdow for sponsor Galway Farm for their win in the $10,000 USHJA National Hunter Derby. Murray-Tenuta and Cheeky scored an 89 for a total of 180 for the win. Boyd picked up a 91.5, giving him second place, just one point from the leader with a 179. Cheeky is a six-year-old, Westphalian Stallion and placed second in the $2,500 USHJA National Hunter Derby last week at Showplace Spring Spectacular II. Murray-Tentua runs her Buena Vista Farm in Zion, IL. 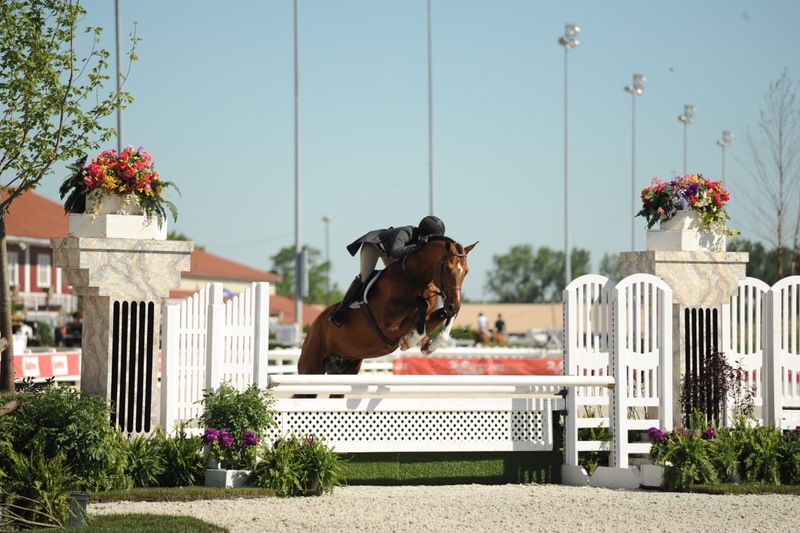 Doug Boyd and Calido's Son finished in second place in the USHJA National Hunter Derby. Boyd and Calido’s son won the $2,500 Devoucoux Hunter Prix last week at Showplace Spring Spectacular II. Junior rider Sydnie Ziegler rides the horse in the Junior Hunters and Boyd was Grand Circuit Champion in the 3’6” Performance Hunters during the winter HITS Ocala Circuit. 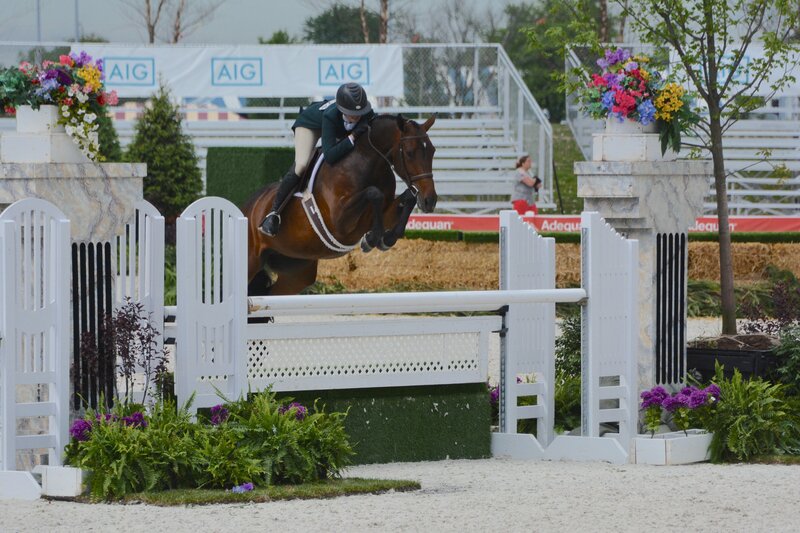 Kathleen Caya and Zorro finished in third in the USHJA National Hunter Derby. 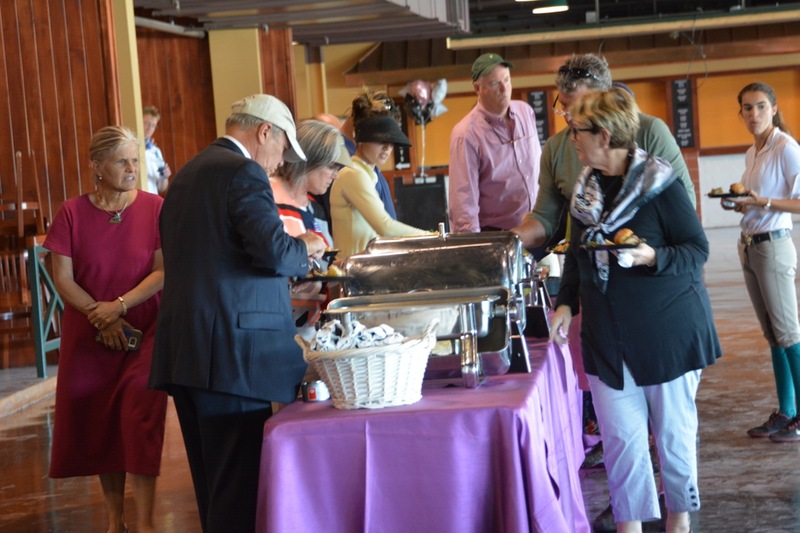 After the awards ceremony, exhibitors were treated to hors d’oeuvres and a fantastic lunch, courtesy of Gene & Georgetti’s and Michelle Durpetti. The famous restaurant is Chicago’s oldest and one of the finest steak houses. They recently opened a second location in Rosemont. 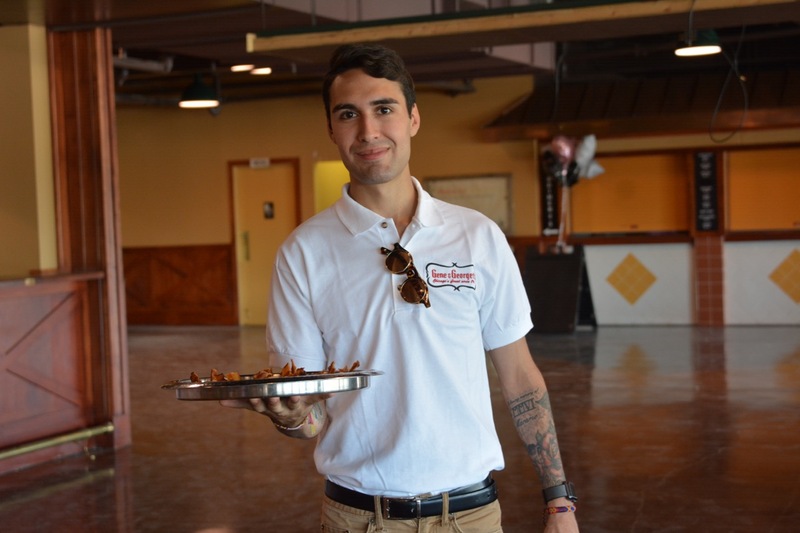 Fine food combined with the event planning of Michelle Durpetti Events is sure to be a great party. Since the inception of Michelle Durpetti Events in 2008, Michelle has planned and produced over 300 events for corporate, social and non- profit clients including some of Chicago’s most notable, celeb-studded soirees. 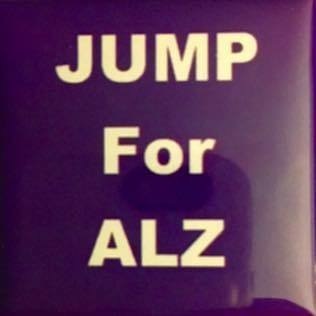 Through Michelle Durpetti Event’s contributions to their non-profit clients, over $350,000 was raised towards various charities in 2014 alone and the number continues to climb annually. 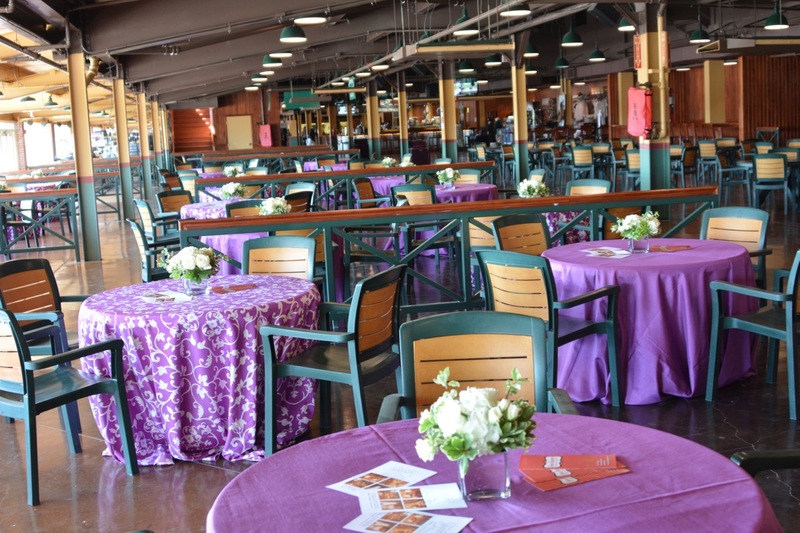 Derby lunch set up by Gene & Georgetti and Michelle Durpetti Events. 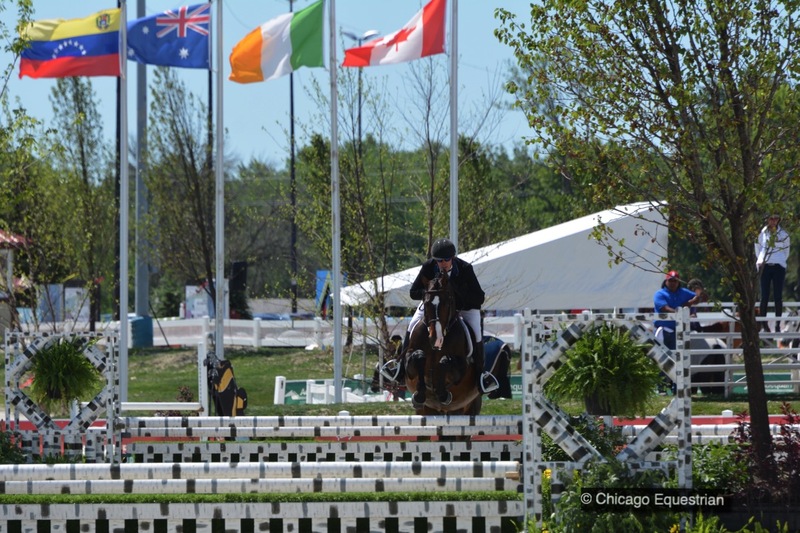 The afternoon kicked off with the $25,000 USHJA International Hunter Derby sponsored by Bull Run Farm. The class had several unexpected events occur, including a powerful wind and rain storm that moved in with just 6 horses left in the handy round. Strong winds blew the course down and pulled down tents and umbrellas as horses and spectators rushed for cover. The storm quickly blew through and jump crew stepped in the re-set the course. Tracy Fenny of Flower Mound, TX, lead the way after the first round score of 185.00. Maggie Jayne, Elgin, IL, was tied for second with 181.5 on both her rides, Standing Ovation and Like I Said, both owned by Pony Lane Farm. Maggie Jayne and Standing Ovation won the handy round and the overall in the $25,000 USHJA International Hunter Derby. In the handy round, it was Jayne who took the top spot scoring a 208 and a total score of 389.5 with Standing Ovation for the win, well ahead of the rest of the pack. Jayne also rode to a 196 on Like I Said and a 377.5 overall for second. Fenney had an unfortunate fall at the first jump, sending her into 12th place, leaving Jayne with both first and second place overall. 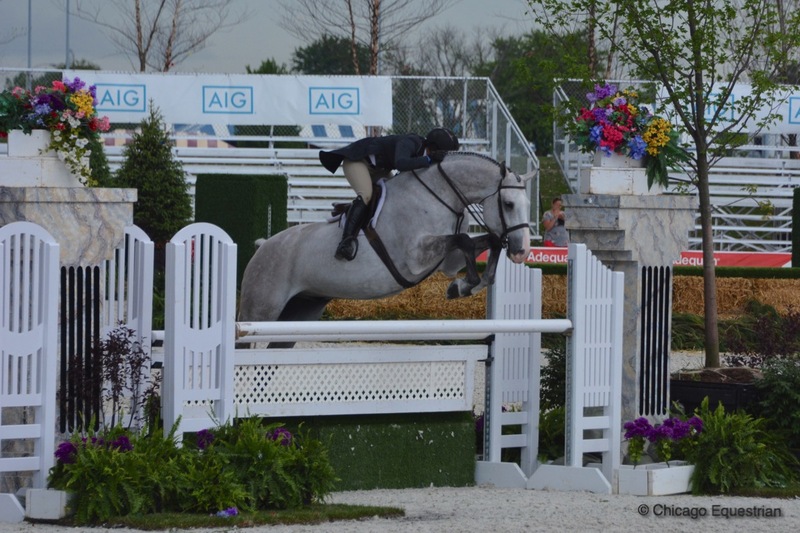 Maggie Jayne and Like I Said finished in second in the USHJA International Hunter Derby. Maggie Jayne in the winner's circle with Standing Ovation, Alex Jayne, Madeline Thatcher accepting for Like I Said's second place and sponsor Linda Zema of Bull Run Farm. 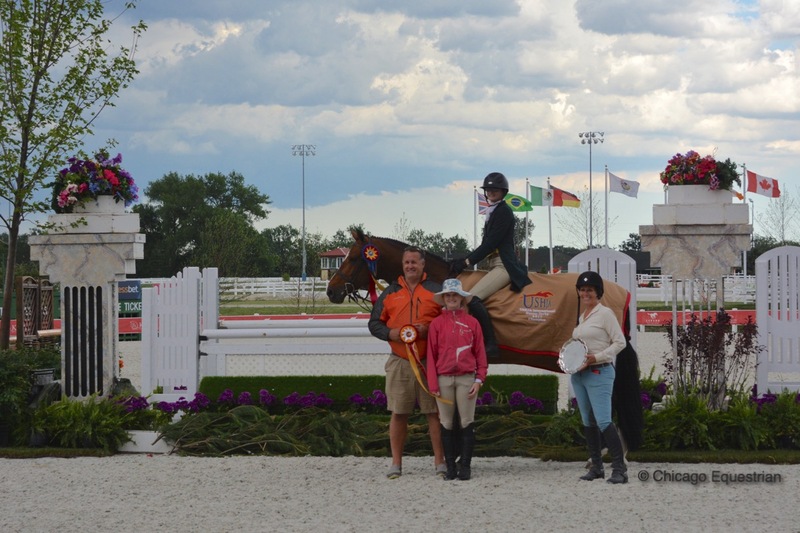 Jayne won the International Hunter Derby at the prestigious Devon Horse Show on Standing Ovation in May. Pony Lane Farm’s Madeline Thatcher shows the horse in the Amateur Owner Hunters. Caitlyn Shiels of Canterbury Farm in Hampshire, IL, and Don Stewart’s Cassius, moved up the ladder with an excellent handy round scoring a 198 for a total of 374 for third. Becky Price’s Editorial took fourth ridden by the National Derby winner, Meagan Murray-Tenuta. Showplace Derby Day also included a $2,500 USHJA Pony Derby sponsored by the Markman Family and a $2,500 Balmoral Child/Adult Hunter Derby. Competition continues for Showplace Spring Spectacular III featuring a $50,000 Grand Prix on Saturday. 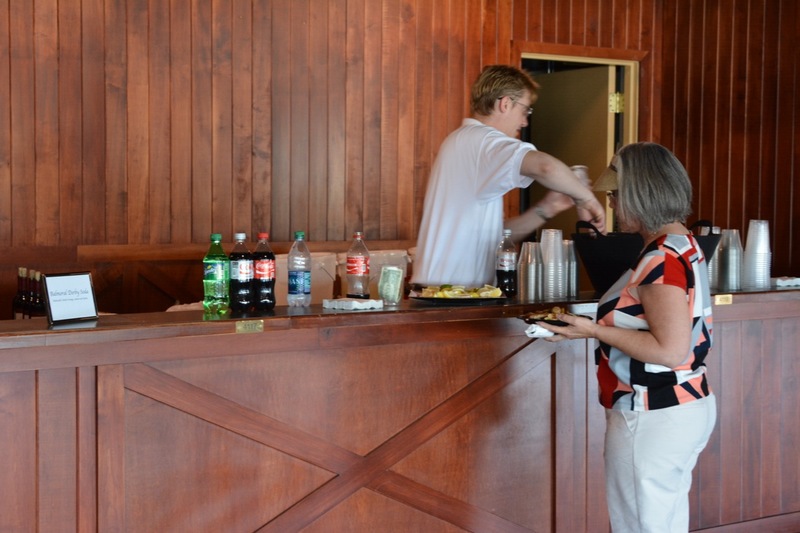 sales, a clinic with Diane Carney – 2016 ASPCA Maclay judge on Wednesday, clear round donations in the jumper ring and ribbons won donations in the hunter rings on Wednesday, June 21st for The Longest Day. Exceptional Equestrian will donate 5% of their sales to the cause so stop in at vendor row and tell them you’d like to donate. Boarding, lessons, horse sales, horse leasing, showing and camps, Judgement Farm can cater to your needs and goals while providing professional care for your horse. 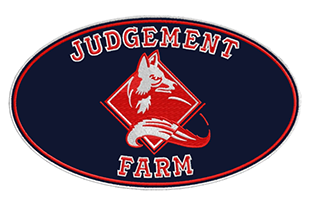 For the more recreational rider, Judgment Farm has summer camps and a quality lesson program, often with horses available to lease. 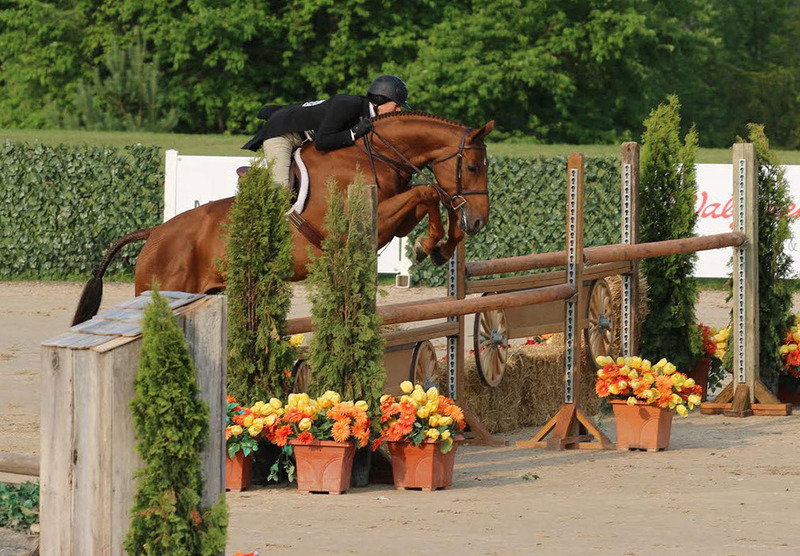 Judgement Farm has quality horses for sale and lease to fit your goals and riding ability. Contact them for a personal tour or to inquire about their quality horses for sale.